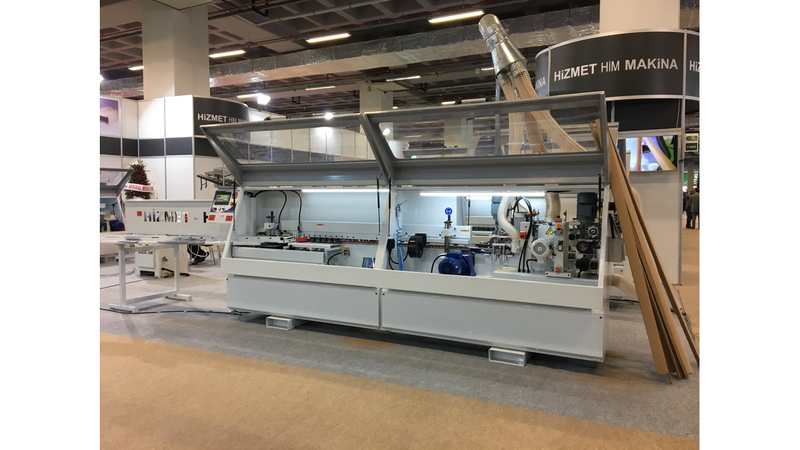 Machine tool for gluing dished “L”-shaped is one of the latest models of equipment produced under brand Hizmet Him for door sector. This machine, like the previous models, is used in the production of the door moldings for the door frames. Its distinctive feature is that with the help of this equipment you can produce both straight and convex (dished) moldings.